It's in charge of turning around Tennessee's failing schools, but the state's Achievement School District now has its own flunking grade from state Comptroller watchdogs. The just-released audit by the Division of State Audit provides a blistering critique into what auditors say the agency's lack of internal financial controls over basic functions. So just how bad are things at the agency that directly manages five public schools and contracts with private charter groups to operate 24 other schools falling into the bottom five percent of schools statewide in terms of student performance? Even as Division of State Audit accountants' examination was still underway this spring, the state Department of Education, which had allowed the ASD to operate independently, informed the Comptroller's office in April that it had staged an intervention and seized control over the ASD's "fiscal and federal processes." As a result, the functions were transferred from Memphis to Nashville with a turnover of the ASD's financial staff. Education Commissioner Candice McQueen's staff told auditors they were hiring a fiscal director, fiscal manager, accountant, account tech, federal programs director and federal programs manager. The firm brought in to run Tennessee's student testing program is telling lawmakers that it won't rush the transition to online exams. Executives with Minneapolis-based Questar Assessment hope to reassure legislators that last year's botched rollout was an aberration. The ballyhooed, new, online TNReady exams crashed during the spring testing period, forcing the entire project to be scrapped for the year. Questar chief executive Jamie Candee says it's been running online tests for a decade and won't make the same mistakes. "We'll be very transparent and very visible in the state," she said at a legislative hearing on Wednesday. "We're here to support you. We're here to support the educators in Tennessee. We're here to support the students." Tennessee also plans to take a slower approach the second time around. They'll roll out online tests gradually over three years — starting with the schools where they worked best last time. High schools that have successfully used online tests will be able to decide for themselves whether to take them during this school year, while all Tennessee students in earlier grades will take pencil-and-paper exams. Rick Staples is the favorite to receive the Democratic pick to replace state Rep. Joe Armstrong on November's ballot, according to several senior local Democratic Party officials. Party leaders will meet 6 p.m. Thursday at the Knox County Democratic Party headquarters, 311 Morgan St., for a public vote to replace Armstrong. Armstrong's recent felony conviction on filing a false tax return disqualifies him from running for re-election against Independent candidate Pete Drew in November. Democrats must select his replacement on the ballot. A cache of powerful hacking tools used by the National Security Agency has leaked online in what could be the biggest blow to the agency since 2013, when Edward Snowden came forward with documents that exposed the scope of its surveillance capabilities. Over the weekend, a group calling itself the Shadow Brokers posted online what it says is a trove of malware used by the Equation Group, a code name for hackers that cybersecurity researchers have linked to the NSA. What do these tools actually do? The files contain parts of what appears to be a sophisticated cyber arsenal. Among the digital weapons are ‘‘exploits’’ — hard-to-develop tools used for penetrating and taking over firewalls made by companies, such as Cisco and Fortinet, that are commonly used to protect computer networks. How sure are we that these tools belonged to the NSA? Although the NSA is staying mum, former NSA hackers say they appeared to be legitimate, as have other outside experts. Some file names from the cache also match up with programs or tools referenced in Snowden’s revelations. The group’s name appears to be a reference to a character in the ‘‘Mass Effect’’ video games who sells off information to the highest bidder. But many, including Weaver and Snowden, say Russia is behind the leak. While there’s no hard evidence connecting Russia to the data, on Twitter Snowden argued that Russia may have released the cache to wave the US government away from officially blaming hacks against the Democratic National Committee and other political organizations on the country. Putting the tools out there ‘‘is likely a warning that someone can prove US responsibility for any attacks that originated from’’ the server that hosted them, he said. That could have major diplomatic fallout if, for instance, the tools were linked to spying on US allies, Snowden argued. WikiLeaks also tweeted that it had a full copy of the NSA tools cache that it would soon put up online, which may bolster the Russia theory. WikiLeaks posted Democratic National Committee files online last month, which many suspect came from Russian cyberattacks on the party organization. Are the tools still out there online? What does this mean for my security? Yes. The Shadow Brokers put the files online in a few different ways, including using a peer-to-peer file-sharing method called bittorrent, which makes it very hard, if not impossible, to delete them from the Web. Two days in a row, in prepared speeches, Trump asserted that that his rival Clinton lacks “mental and physical stamina” to do the job as president. That’s surely no accident, but a campaign official did not respond to a query about why the GOP presidential nominee was making this claim. We assume Trump’s rhetoric is related to a not-so-quiet campaign among right-leaning news entities to highlight “concerns” about Clinton’s health, often shared on social media with #HillarysHealth. Trump, who would be 70 on inauguration day, in December 2015 released a four-paragraph letter from Dr. Harold N. Bornstein, a gastroenterologist in New York. Bornstein said he had treated Trump for 36 years. The letter, written with Trumpian rhetoric, proclaimed that “if elected, Mr. Trump, I can state unequivocally, will be the healthiest individual ever elected to the presidency.” It provided few specifics — Trump apparently takes a statin drug and baby aspirin each day — and some medical professionals have noted it was oddly worded for an official document released by a medical doctor. Given Trump’s poor track record with the facts, it should be little surprise that, through innuendo, he is trying to surface debunked Internet rumors from the fringes of the right. But these are also half-baked, ridiculous and easily disproved, making it especially shocking that he would try to highlight them in prepared speeches. Both major-party candidates have issued letters from their doctors attesting to their health. Both could clearly do more, especially given the standard set by McCain eight years ago. But in the absence of additional information, there’s little reason for a major-party nominee such as Trump to traffic in rumors and innuendo. Trump has claimed twice, without proof, that Clinton lacks the physical and mental stamina to be president. In the absence of any evidence, he earns Four Pinocchios. "Gov. Haslam and his administration is willing to sell anything that isn't nailed down in state government," Clemmons charged. "I question his priorities, his motives." "This issue is about jobs and families," Rep. John Ray Clemmons, D-Nashville, told reporters this week. "Now, Gov. Haslam's conspired to unemploy thousands of state workers behind closed doors. He's done so in a secretive manner. If it were not for local media in uncovering these, we might still be in the dark." Clemmons' comments came during a Monday conference call organized by United Campus Workers, which is opposed to the Haslam administration's ongoing effort to develop a comprehensive building services outsourcing contract. It could affect facilities management across 90 percent of Tennessee's government, including the University of Tennessee, which includes UT-Chattanooga, and the Tennessee Board of Regents, which includes Chattanooga, as well as Cleveland State Community Colleges. State-operated hospitals like Moccasin Bend Mental Health Institute and state prisons could also be impacted, as could state prison building facilities management. Clemmons, joined by Senate Minority Leader Lee Harris, D-Memphis, called for increased oversight by the Republican-dominated General Assembly. The administration estimates the state could save $36 million annually through outsourcing, but higher education leaders have disputed that. State officials have contracted with an independent auditing firm to provide a review of the administration's savings claims. Administration officials embarked on the current no-layoff conditions as a result of continuing blowback over outsourcing building management and maintenance of nearly 10 percent of the state's building maintenance and real estate management services to Chicago-based Jones Lang LaSalle in 2013. The state contends it's saved $13 million so far on the contract. But JLL's contract proved highly controversial, with many state workers, including a number of people in Chattanooga, not getting hired by the publicly traded company. 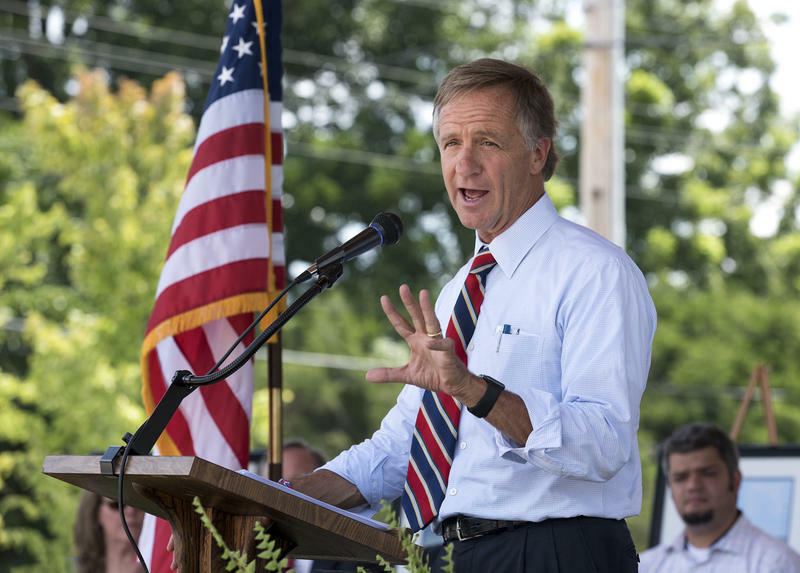 Clemmons noted a recent new report by Nashville's WTVF, which raised questions about the administration's claimed savings on yet another Haslam outsourcing initiative involving the state's motor pool. A proposal to decriminalize possession of small amounts of marijuana in Nashville survived an unexpected roll-call first vote in the Metro Council Tuesday night. The council voted 32-4, with one abstention, to advance a bill on the first of three readings that would lessen the penalty for people who knowingly possess or exchange a half-ounce of marijuana or less to a $50 civil penalty or 10 hours of community service. light rail service, eventually, along four corridors. To carry out this “comprehensive regional system” would require significant spending: Nearly $6 billion in capital costs over 25 years, along with a 300 percent increase in annual operating costs, from the current $83.2 million to $338.4 million if fully realized. On a per capita level, that would be an increase from $67 to $244 — although officials say a huge share would come from non-local sources, to the point of actually reducing Metro’s per capita spending. The FBI on Tuesday forcefully defended its decision not to criminally charge Hillary Clinton in connection with her use of a private email server as secretary of state in a letter to lawmakers that laid out its rationale for refusing to do so. The letter was sent to House Oversight Committee lawmakers the same day that the bureau released to the GOP-controlled Congress a variety of material from its investigation. It marked yet another occasion in which FBI leadership responded to – and in some cases, rebutted – GOP claims about why the Democratic presidential nominee should have been charged. Trump’s stunning decision effectively ended the months-long push by campaign chairman Paul Manafort to moderate Trump’s presentation and pitch for the general election. And it sent a signal, perhaps more clearly than ever, that the real-estate magnate intends to finish this race on his own terms, with friends who share his instincts at his side. Trump has listened intently to Bannon and agreed with him, believing that voters will ultimately want a presidential candidate who represents disruption more than a candidate with polished appeal, the aides said. “Buckle up,” wrote a Trump strategist in a text message Wednesday to The Washington Post.
. . . Rick Wilson, a GOP consultant working for independent presidential candidate Evan McMullin, said angst was evident Wednesday morning in a round of phone calls to his friends on Capitol Hill. He predicted that the RNC would be pressured to eventually distance itself from Bannon and then possibly from Trump, in order to protect down-ballot GOP candidates across the country. --@costareports: "Bannon has convinced Trump that rest of campaign needs to be bare-knuckles brawl, w/ full-bore populism/movement politics" ... "Huge rallies. Gloves off. Brutal fights with Clinton. Heavy emphasis on nationalism and populism. That's the Bannon strategy." Republican presidential candidate Donald Trump has named a West Tennessee cotton farmer to a committee that will advise him on agriculture issues. Charlotte Kelley of Tipton County is one of more than five dozen people who will serve on the panel. Kelley, a former Tipton County commissioner, and her husband, Richard, farm 14,000 acres of cotton and operate a cotton gin in Burlison that processes more than 30,000 bales. We've called it "far-fetched." So have Republicans and, quietly, plenty of Democrats. And it still is by no means a given. But with Donald Trump collapsing in key polls -- in a new Monmouth University poll, he's down by 9 points in Florida, a state he very much needs to win -- we're mapping out scenarios about how Democrats could retake the House of Representatives, and we're kinda surprised to be finding them plausible. Which all suggests just how bad this election could be for Republicans. Republicans, we remind you, have the largest majority since before World War II, thanks in part to gerrymandered districts in their favor, self-sorting voters and the fact the president is a Democrat. 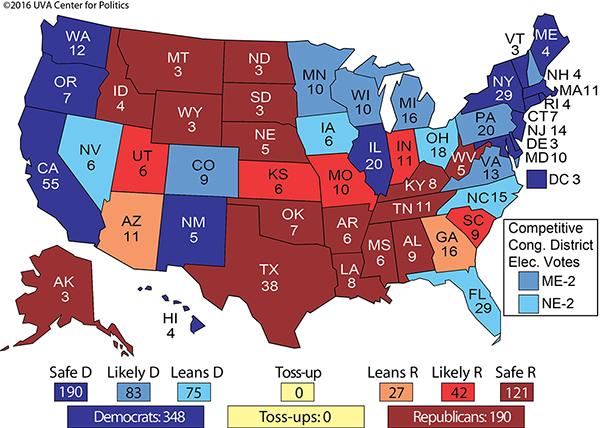 In 2016, Democrats need to net an extraordinary 30 seats to take back the majority. That means everything needs to go right for them in their six competitive seats AND they need to run the gamut in 27 Republican-held seats that nonpartisan analysts at Cook Political Report rank as competitive. Health insurance companies Cigna and Humana have submitted new proposals to the state about how much more they want to charge on the federal marketplace next year. They had submitted these requests in June but told the state recently that they needed to recalculate in order to avoid losing too much money. Cigna is now requesting to raise its rates by 46.3 percent — double what it had originally proposed. Humana wants a rate hike of 44.3 percent, compared to its June request of 29 percent. The third health care provider that wants to offer insurance on the exchange, BlueCross BlueShield of Tennessee, did not submit a new proposal to the state. It had already requested a much higher increase, around 63 percent. The vast majority of Tennesseans support public access to police body camera footage that shows serious injury or death, according to a recently released poll. The poll, conducted by icitizen – a Nashville-based polling agency – and the Tennessee Coalition for Open Government, found that nine out of 10 people in the Volunteer State support the release of body camera videos that provide the public with footage of incidents that result in an injury or fatality. Despite such support for access to body cam footage, Tennesseans range in their views on whether or not the right to view such evidence should be limited. Yes, there's still a general election to get out of the way in November, but state House Majority Leader Gerald McCormick wants to be clear that he'd like to keep his leadership post next legislative session. The Chattanooga Republican formally announced his bid to remain majority leader — a post that serves as the main representative of the GOP during floor sessions — in an email Monday to colleagues. "This is much earlier than past election cycles but it is important to clear the air so we can get on with the task at hand: defeating Democrats in November," McCormick said in the email. Tennessee Democrats and a union that represents campus workers are calling on Gov. Bill Haslam to release a study into outsourcing. They say the Haslam administration needs to show privatizing government services has worked before going ahead with more plans. 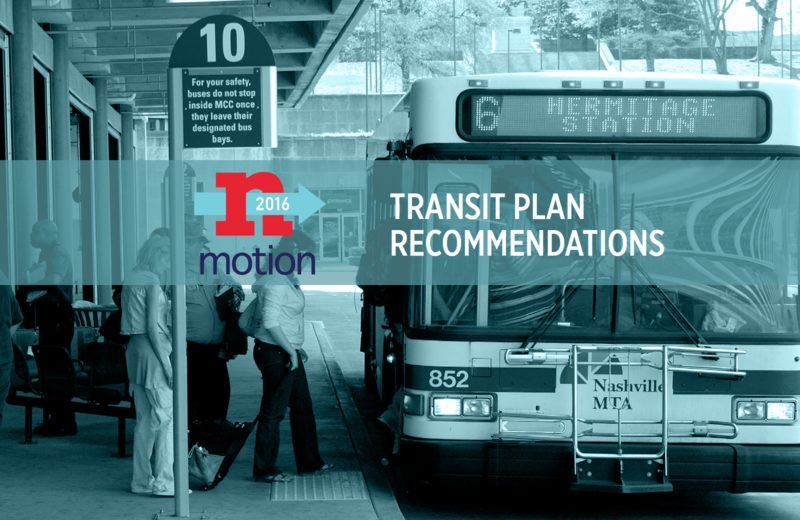 The Haslam administration agreed in March to do the review. It came after lawmakers demanded more evidence that outsourcing works. "There's absolutely no proof that government will operate more efficiently, yet there's a track record of failed attempts," state Rep. John Ray Clemmons, D-Nashville, said on a conference call with reporters Monday. The Democrats' list of failures include outsourcing maintenance of state vehicles, a deal with a Chicago real estate firm to manage state office buildings and the botched rollout of online standardized tests. They want a public hearing before more contracts are put out to bid. The Haslam administration insists outsourcing is saving taxpayers millions. A spokeswoman says Nashville-based KraftCPA is doing the review currently and is expected to deliver it in November. If it shows the savings they expect, it could clear the way for more outsourcing — including state park facilities, university campuses and other government properties that weren't covered in previous rounds. Vanderbilt tried to rename Memorial Hall in 2002, but the Daughters of the Confederacy sued, arguing breach of contract. The Tennessee Court of Appeals ruled that Vanderbilt could only drop the name if it paid back the money. The school opted to save the $900,000 "rather than enrich an organization whose values it does not share," states a press release from 2015. But Chancellor Nick Zeppos says the time has come to move on. Zeppos says Vanderbilt is not trying to whitewash its past or avoid difficult questions. He sees the renaming as being true to the original vision of Cornelius Vanderbilt, who wanted to contribute to healing following the Civil War. An anonymous donor has put up the money and specifically designated it for the renaming. In campus publications, the dormitory has simply been referred to as "Memorial Hall" for more than a decade. Black Lives Matter supporters have put Mayor Jim Strickland in the eye of the storm. Bringing opportunity to Memphis’ most humble neighborhoods, however, will depend less on the mayor than an outfit some activists consider the home of white privilege — the Greater Memphis Chamber. Once on the edge of community life, and recently recast as a civic leader, the business group at 22 North Front Street has been discussing for two years the same issues community activists fretted over this summer. “We want to make sure we don’t put a Band-Aid on a long-term problem. We have to put a real solution in place,” said Memphis entrepreneur Carolyn Hardy, the chamber’s chairwoman. Here’s the catch: Even in a city short on money, political leaders can improve police conduct, fix blight, marshal resources, open community centers. But the other point made — the disenfranchised want good jobs, opportunity — no mayor in America can solve this alone. Mayors can insist, warn, negotiate, though if Memphis brings jobs to the worn districts, the leadership will come from 22 N. Front. There, the chamber three years ago amassed within itself a smaller group of 120 senior executives who call themselves the Chairman’s Circle. Hardy is a co-chair of the circle. Strickland’s budget amounts to dimes and quarters compared to the spending these 120 executives oversee for payroll, services and supplies at their companies, foundations, hospitals and universities. Their combined spending totals billions of dollars each year. Hardy said the goal is to bring minority firms into the commercial mainstream, just as cities such as Atlanta, Charlotte and Chicago have done. In May, Hardy and Trenary quietly gathered the execs in a room. She asked them to consider diverting part of their spending to African American- and women-owned firms. Claim: President Barack Obama set the terms of U.S. troop withdrawal from Iraq. Status: False. The withdrawal of U.S. forces from Iraq was established by President George W. Bush. Claim: The United States is in the era of nation building, which Trump will end. Status: Mostly false. Obama has largely phased out the kind of large-scale nation-building efforts most closely associated with Bush’s tenure, when hundreds of thousands of U.S. troops were deployed to rebuild Iraq and Afghanistan. Claim: Many cases of honor killings have occurred in the United States. Status: True. The Department of Justice last year commissioned a comprehensive study that estimated 23 to 27 honor killings occur every year in the U.S. Status: Questionable. The quote from the interview that Trump cited in his speech is not as clear as he described it and does not express opposition or support of a U.S. invasion of Iraq. Claim: Trump could use federal legal authority to implement his “extreme vetting” proposal. Status: Unclear. While federal immigration law lets the president bar entry of aliens who would be detrimental to U.S. interests, legal scholars say such authority has never been used the way Trump has proposed. Ideological screening isn’t new, according to Akhil Amar of Yale Law School. “We’ve always asked all sorts of questions about people’s beliefs, and people with un-American points of view will be screened out,” Amar said. But legal issues could arise if the United States discriminates on the basis of race or religion, and Trump could face a separation of power challenge if his executive order is too broad, Amar said. Also, Trump’s “extreme vetting” may be unconstitutional if applied to U.S. citizens or permanent residents or others with legal rights to enter the country. And here's a sampling from the Washington Post's Fact-Checker. "nonsensical," "real whoppers," "false and facile," "discredited," "four Pinocchio claim," "once again Trump criticizes Obama and Clinton for taking action he advocated," "unverified assumption," "no evidence"
Most of what he wants to do to the Islamic State is already being done by President Obama and would be continued by Hillary Clinton. Donald Trump says he has a master plan to defeat ISIS. But on Monday it was clear he has yet to update it to reflect the changing dynamics on the battlefield, which went either unnoticed or ignored by the Republican nominee in what was billed as a speech on how to defeat the terrorist group. She—and Bill—need to say preemptively, ‘Here are the rules under which the foundation will operate’ if she’s elected. If you don’t think this kind of email exchange happens dozens of times a day in Washington, you are either, perhaps paradoxically, deeply conspiratorial or deeply naïve. Rich people ask connected friends to introduce them to people in government. Sometimes those introductions are made; sometimes they aren’t. Even if the introductionis made, it’s hardly an a priori scandal. Once Again, Trump Claims He Was Always Against the Iraq War. He's Lying. Donald Trump made his big foreign policy speech today, and he devoted plenty of time to his early opposition to the war in Iraq. At one point, he cited an interview in Esquire from August 2004—more than a year after the American invasion began—in which he had railed against how the war was being handled. That’s all well and good, but Trump's big point throughout the speech and this entire campaign has been that he was always opposed to the war—even before it began. He has said this over and over again and used it to bash both his Republican primary opponents and Hillary Clinton for their "poor judgment." This claim has been debunked (over and over again), by multiple fact-checkers,magazines, and newspapers. How cool is Usain Bolt? It's just a trial heat, but you gotta love this guy. On a leafy side street off Independence Square in Kiev is an office used for years by Donald J. Trump's campaign chairman, Paul Manafort, when he consulted for Ukraine's ruling political party. His furniture and personal items were still there as recently as May. And Mr. Manafort's presence remains elsewhere here in the capital, where government investigators examining secret records have found his name, as well as companies he sought business with, as they try to untangle a corrupt network they say was used to loot Ukrainian assets and influence elections during the administration of Mr. Manafort's main client, former President Viktor F. Yanukovych. Handwritten ledgers show $12.7 million in undisclosed cash payments designated for Mr. Manafort from Mr. Yanukovych's pro-Russian political party from 2007 to 2012 ... Investigators assert that the disbursements were part of an illegal off-the-books system whose recipients also included election officials. The man who organized a letter last week of more than 70 Republicans calling on RNC Chairman Reince Priebus to stop funding Trump and focus on down ballot races has gone to the FBI after facing harassment on hate websites. One site - INCOG MAN - tells readers that "It's time to put the SMACK DOWN on these filthy Jew rats!" and refers to Andrew Weinstein, the organizer, as "a faggy looking Jew,' and an "unhinged Jewish rat," among other things. Weinstein told Politico's Playbook that "apparently they didn't realize that I'm pro-gay, pro-Jew, and pro-rat, so their insults were not particularly effective." Tennessee Governor Bill Haslam is also criticizing Donald Trump for calling President Obama the founder of ISIS. The Republican governor says "words matter" when leaders talk about their political opponents. Implying the other side is behind a terrorist organization goes too far, Haslam said. "It's one thing to go in and say let's look at policy and see what policy drove ISIS to be where it is now, and how has it grown the way it has," he told reporters Friday. "It's another thing, I think maybe to say something like well, the president was the person who started ISIS. That's a pretty grand reach." After a week of bad poll numbers, Donald Trump is blaming the media. "If the disgusting and corrupt media covered me honestly and didn't put false meaning into the words I say, I would be beating Hillary by 20%," Trump said on Twitter this morning. He added to the comments throughout the day on social media. "It is not "freedom of the press" when newspapers and others are allowed to say and write whatever they want even if it is completely false!" he tweeted Sunday afternoon. His blasts against the media on Twitter on Sunday followed what he told a crowd at a Connecticut rally Saturday night: "I'm not running against crooked Hillary Clinton. I'm running against the crooked media." Trump's barrage comes after a spate of unfavorable polls over the past week. Compounding the downward trajectory of Trump's polling data is apparent pressure from a portion of the conservative electorate that has failed to coalesce around his candidacy. To emphasize the statement he made Saturday at the rally in Fairfield, Connecticut, about the "crooked media", the 70-year-old real estate tycoon waved his finger in a horizontal line toward where the press was stationed. The media has served as a rhetorical target for Trump throughout his campaign. In an essay for Marie Claire last week, MSNBC/NBC reporter Katy Tur wrote that she had to be accompanied out of a South Carolina rally by Secret Service agents after Donald Trump launched a personal attack against her. With Tennessee’s August primary election in the rearview mirror, politicians and political insiders are turning their focus to the November general election. While the presidential election will most likely dominate the headlines in the days leading up to Nov. 8, several races throughout the state could play a role determining whether Republicans can bolster their supermajority in both chambers of the General Assembly. Steve Dickerson, R- Nashville 20th District - After handily defeating Ron McDow in the August primary election, Dickerson is set to face Democrat Erin Coleman in November. Insiders point to Coleman’s primary election — which showed that she received 75 more votes in the Democratic primary than McDow and Dickerson combined — as a sign they could grab the only Republican-held Senate seat in heavily Democratic Nashville. Todd Gardenhire, R-Chattanooga, 10th District - During the 2016 legislative session, the Senate Education Committee member, whose district covers Bradley and part of Hamilton counties, was among the more vocal lawmakers leading the charge to push back against the University of Tennessee’s Office for Diversity and Inclusion. Although Gardenhire had no opposition in the Republican primary, the three Democrats vying to challenge him in November keyed in on several of his more outlandish statements, including one in which Gardenhire said he deleted angry emails from advocates opposed to one of his bills. The three Democrats in the primary brought in 6,108 votes, 51 more than Gardenhire netted during the primary. Kevin Dunlap, D-Rock Island, 43rd District - In the 2014 general election, the 38-year-old teacher defeated his Republican challenger by just 54 votes in a race to represent White and Grundy counties and part of Warren county and also featured an Independent candidate. John Mark Windle, D-Livingston, 41st District - Republicans have dominated in the rural areas of the state and could turn to Windle’s seat — which represents Morgan, Jackson, Overton and part of Fentress counties — to try to bolster the GOP’s grip. First elected to the House in 1994, Windle has not faced a serious challenger in recent years. In 2014, he was unopposed. This year, he will face Republican Ed Butler, who received 23 fewer votes than Windle in the August primary, although the candidates did not square off in a head-to-head matchup. Craig Fitzhugh, D-Ripley, 82nd District - Another rural seat Republicans would love to steal from Democrats is the one representing Lauderdale, Crockett and Haywood counties that’s been long held by Fitzhugh, who, like Windle, was first elected to the chamber in 1994. Two Republicans — Andy Cole and Larry Dotson — netted about 2,700 votes in this year’s Republican primary, 900-plus votes more than the House Minority Leader from West Tennessee received. Despite not facing a Republican challenger in the 2014 general election, Fitzhugh received 7,800 votes at that time, which means Cole will need to do some serious work to oust Fitzhugh. Rep. Judd Matheny tried to keep fighting against members of his own party Saturday, when he hoped to raise questions during a State Executive Committee meeting about the way Republican leaders have handled a situation involving a political consulting firm previously used by candidates challenging incumbent lawmakers. In recent months, Matheny has taken issue with the fact that Southland Advantage – a company founded by Taylor Ferrell, who is the wife of the party’s political director, Walker Ferrell – was once hired by candidates running against Matheny, Rep.Courtney Rogers, R-Goodlettsville, and U.S. Rep. Scott DesJarlais. All three lawmakers beat their challengers in the state's Aug. 4 primary election. An explosion of new drugs, medical apps and an ever-expanding array of ways to get treatment are reinventing how people consume health care. Yet those who would most benefit from the latest technology simply can’t afford it. And, across Tennessee and the country, the gap between these two groups has only widened in recent years, experts said. Income correlates to health care spending and is associated with longevity, according to two recent studies that looked at long-term expenditures across income brackets and tax and death records. 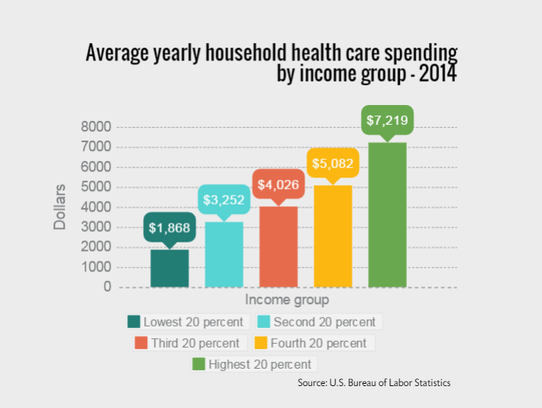 The amount spent by people in the highest income brackets — people who are generally among the healthiest — increased from 2004 to 2012, a period when care costs were beginning to be shifted to consumers in restructured health plans. But, spending in lower income brackets over the same period began to decrease — leading to a gap in money spent on health care, according to a study published in the journal Health Affairs that looked at data from 1963 to 2012. Then the gap began to widen, signaling to the authors that a "redistribution of care toward wealthier Americans" is happening. "What we can say for sure, it’s not because rich people are sicker — that is the opposite of what’s true," said Dickman. While the study doesn't include data under the Affordable Care Act, more and more insurance plans are shifting higher costs to patients through higher deductibles and other cost-sharing mechanisms. But for people who haven’t seen real wage growth, higher bills are competing with food, fuel, utility and internet bills and rent. There are multiple factors contributing to the strange contrast in conditions. Boyd says lack of moisture in the soil, storm fronts stalling out and a historically low lack of hurricanes have all played their part. An extension agent in Gallatin says the summer floods brought a bumper crop of corn, but they also kept some farmers from being able to actually access their fields. In the counties around Chattanooga, farmers have abandoned most of their corn crops, and seen much of their pastureland dry up. Gov. Bill Haslam says he’s backing a state Department of Revenue rule to requiring out-of-state retailers to collect Tennessee sales taxes because he has little confidence Congress will act, reports the Times-Free Press. “They [Congress] keep saying that they’re going to take it up, but I am not holding my breath they’ll take it up any time soon,” Haslam said in an interview Friday. - but he keeps putting his foot in it - every single day. On Wednesday, the Republican nominee took a break from suggesting Clinton should be assassinated and calling her “the devil” to focus his attention on the current president, who he believes is the mastermind of a terrorist cell. This particular line of thinking is incidentally also favored by American conspiracy theorists as well as the Russian government and Iran’s supreme leader, Ayatollah Ali Khamenei. Given the opportunity to clarify his remarks on Thursday, in an interview with conservative radio host Hugh Hewitt, Trump instead confirmed that he believes Obama is, literally, the founder of the terrorist organization. A spokesperson for Trump did not respond when asked where Trump got the idea that Obama is the founder of ISIS, but it’s worth noting that—aside from the homegrown fantasists Trump counts among his friends—the idea is also popular among the Russian government Trump has tried to distance himself from. Russia Today, a propaganda news outlet funded by the Russian government, has published multiple stories attributing ISIS’s rise to U.S. calculations. Republican Presidential nominee Donald Trump went “far too far” in statements claiming President Barack Obama founded ISIS, U.S. Sen. Bob Corker said during a visit to Williamson County on Thursday. Corker, the chairman of the Senate Foreign Relations Committee, was unfamiliar with the comments, but responded to questions about Trump's latest remarks, made at a rally in Florida and repeated during a radio interview Thursday. At a rally Wednesday Trump said Obama founded ISIS. He doubled down on the comments during a Thursday morning radio interview, calling Obama the "most valuable player" of the terrorist organization. The former Chattanooga mayor was one of the first prominent Republicans to praise an early foreign policy speech from Trump. That led to Corker nearly joining Trump on the presidential ticket; Corker later bowed out of consideration, saying he would be better suited for a cabinet position. He has also criticized some Trump comments, including Trump's statements about the heritage of a judge hearing a case involving Trump University and the bombastic businessman's remarks in the wake of the Pulse nightclub shooting in Orlando. ORLANDO — Donald Trump urged evangelical Christians to rally behind him in a speech here Thursday, seeking to ease their concerns about the Republican presidential nominee and proclaiming that sending him to the White House is crucial for the future of their movement. Clinton promoted previously released proposals to make public college tuition-free for families making up to $125,000 a year, to prod companies to increase profit-sharing opportunities, and to raise taxes on corporations and the wealthy. In her remarks, Clinton chided Trump’s companies for making clothing and other products overseas and unveiled a new website that lists companies making similar products in the United States. She also zeroed in on a Trump proposal to dramatically reduce taxes on “pass-through” businesses, which do not pay corporate income taxes but whose owners are taxed at individual rates on their share of profits. The Shelby County Democratic Party executive committee voted 14-5 Thursday night to declare former chairman Bryan Carson "not fit" to run for public office as a Democrat. Executive committee member Del Gill proposed the resolution, which reiterated accusations made in a resolution approved by the committee June 2 that Carson embezzled "at least $25,000" during his tenure as committee chairman. Gill has filed a criminal complaint against Carson, and said the investigation is ongoing. "The intent here is that Mr. Carson has some personal issues he needs to address," Gill said. "I was unaware they were taking that vote," he said late Thursday. "I'll contact chairman Pope and Mary Mancini this weekend and see what I need to do as far as getting bona fides back. I thought all this was over with." AAPS is a small nonprofit organization with Tea Party ties that prioritizes “individual liberty, personal responsibility, [and] limited government.” Their journal, as Mother Jones reported, has published articles suggesting that abortion causes breast cancer, that vaccines cause autism, and that AIDS is not caused by HIV. All discredited theories. The American Psychiatric Association agrees with her. The so-called Goldwater Rule states: “[I]t is unethical for a psychiatrist to offer a professional opinion unless he or she has conducted an examination and has been granted proper authorization for such a statement.” It follows that any physician should refrain from diagnosing—or floating potential diagnoses—for a presidential candidate unless they have personally examined them. Two new congressional reports conclude senior military officials skewed information about the war to make it look like it was going better. The question is why. The report, written by the members of the House Armed Services and Intelligence committees and the Defense Appropriations subcommittee,confirmed more than a year of reporting by The Daily Beast aboutproblems with CENTCOM analysis of the war against ISIS. Trump suggest shooting Hillary - no really, he actually did! The aside, delivered casually, drew light laughter from Trump’s crowd but a swift, emphatic rebuke from across the political spectrum, with Republicans and Democrats alike broadcasting their shock. But it’s only the latest example of the unscripted candidate’s sense of humor getting him in trouble in the context of a presidential campaign. Just days ago, Trump stirred controversy at a news conference by encouraging Russia to spy on Clinton and to uncover the 33,000 emails deleted from her private server. After letting the controversy boil for more than a day, Trump and his campaign team attempted to argue that he was joking and not, in fact, nudging a foreign government — described by Trump’s predecessor as GOP nominee as America’s “greatest geopolitical foe” — to spy on his political opponent. In both cases, the carelessness with words carries broad, serious implications — in the political realm and beyond. Trump’s “jokes” give his opponents fodder and force fellow Republicans into yet another round of inevitable disavowals and questions about whether they will continue to support their party’s nominee. In the past week, following Trump’s suggestion that the Russians hack Clinton’s server and his ensuing criticism of a Gold Star family whose son was killed in Iraq, mainstream Republicans have been distancing themselves from Trump with increasing velocity. But beyond politics, there are the potential real-world consequences of a presidential candidate — one who has spent the past week boldly asserting that the election itself may be “rigged” against him — speaking openly about citizens bearing arms as a response to Clinton presidency, especially in a country that is enduring a prolonged period of mass shootings by troubled, disaffected individuals and domestic terrorists, and rising violence enflamed by urban unrest and a fraying social fabric. Trump has been scolded more than once during his campaign for promoting violence against political opponents. At a rally in Cedar Rapids on the day of the Iowa caucuses, Trump offered to pay the legal fees of supporters who attacked anyone trying to throw fruit at him. “If you see somebody getting ready to throw a tomato, knock the crap out of them, would you? Seriously,” he said. “Just knock the hell — I promise you, I will pay for the legal fees. I promise. I promise.” As it turned out, there were no attempts to throw fruit at him at the rally. "If someone else would’ve said that outside the hall, he’d be in the back of a police wagon now with the police questioning him," former CIA and NSA head Michael Hayden told CNN's Jake Tapper. The Republican National Committee has seen a spate of departures in recent months related to its embrace of Donald Trump, whom some former staffers felt uncomfortable supporting. In recent months, deputy press secretary James Hewitt, spokesman Fred Brown, director of Hispanic media Ruth Guerra, and research analysts Lars Trautman and Colin Spence have all left the RNC with Trump as one of the reasons for their resignations, according to sources familiar with their decisions. At least three other staff members have also left the RNC with opposition to Trump as a contributing factor, according to multiple sources. In total, at least 11 staffers have left the RNC since March, although not all of the departures were related to Trump. “Personally I wasn’t comfortable working to elect him,” he said of Trump. New Emails Show Clinton Foundation's Ties to State Dept. Hillary Clinton faces renewed scrutiny over her private email use after newly released emails appear to show links between the Clinton Foundation and the State Department during her time as secretary of state. In 44 emails released Tuesday, email exchanges between employees at the Clinton Foundation and the State Department appear to show the charitable foundation seeking influence over the actions of the State Department. In one exchange, Clinton aides apparently agreed to help find a job for an associate of the Clinton Foundation, at the request of the foundation. In another, a Clinton Foundation executive asks the State Department for assistance in putting a billionaire donor in touch with the ambassador to Lebanon. On Monday, it was a 15-year-old boy in Memphis, just before noon on his first day back at school. His injuries are not life threatening. The same day, a Nashville teen was seriously injured after being shot in the hip and leg near downtown. On Sunday, a teenager was one of three people struck by bullets in an apparent drive-by shooting in Chattanooga. And on Saturday, it was a 4-year-old child in Memphis, who was grazed by a bullet. "Most of the accidental shootings of children we see are by children," Roth said. "They don't involve parents shooting their kids." Tennessee has had some of the lowest voter turnout of any state in the nation. That's according to a new analysis from the Pew Charitable Trusts, which shows the state ranking virtually at the bottom for the last few election cycles. Only 29 percent of voters went to the polls in 2014 — a six percent drop from 2010. Though the totals were not included in this report, turnout was even lower in last week's local elections, though voters like Donna Coss of South Nashville made sure to cast a ballot. "We just think it's important, and you can't gripe if you don't vote," she said with a laugh. The new Pew research finds that Tennessee ranked 50th in voter turnout in the most recent year data is available. 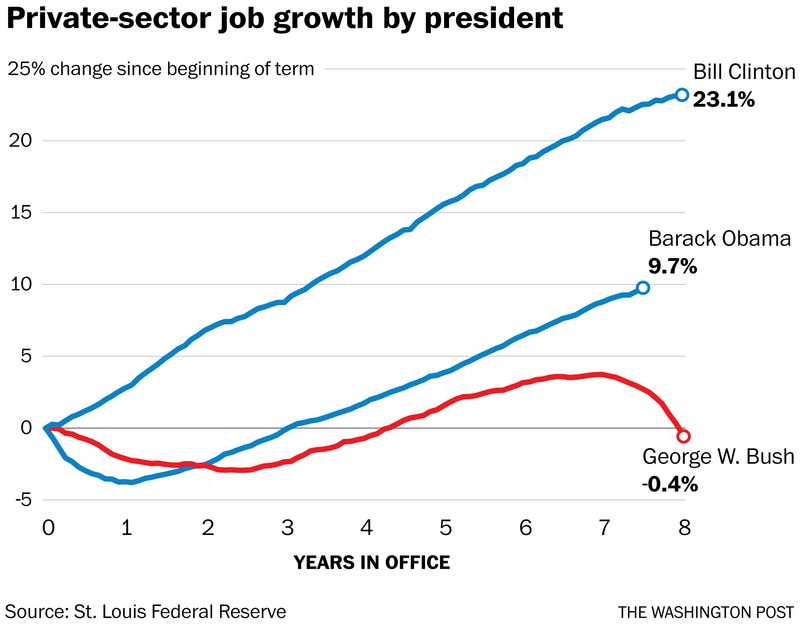 But since the figures include Washington D.C., that's not actually dead last. Texas is the state that came in 51st. Tennessee fares better on voter registration, which was at 74 percent and a ranking of 40th in the nation. Click through the state's complete profile here, where Pew has also ranked states based on something researchers are calling an "elections performance index." If granted, the higher requests would mean bigger jumps in monthly premiums for many people. After four days of testimony and five hours of deliberations, a federal jury served up one felony conviction for state Rep. Joe Armstrong on filing a false tax return and an acquittal on two other related felonies. Armstrong, a 28-year veteran of the legislature who just last week won his unopposed Democratic primary race, left U.S. District Court with defense attorney Gregory P. Isaacs after the verdict’s announcement and neither took questions. Armstrong faces a maximum of three years in prison on the false tax return count, but sentencing guidelines probably will be lower. A proposed Tennessee Revenue Department rule that would require out-of-state retailers to begin collecting Tennessee sales taxes on items sold here is pitting state-based retailers who use the internet, catalogs and cable to sell across the country against traditional brick-and-mortar stores that don't. While representatives for traditional brick-and-mortars didn't testify, they filed letters in support of the proposed rule, which would require out-of-state vendors who sell to Tennesseans to charge state and local sales taxes that can hit 9.75 percent. "Would put our country at risk." Fifty former national security officials whose careers span more than four decades released a letter today critical of Republican presidential nominee Donald Trump, stating that they would not vote for the real estate mogul in November. The statement — signed by a former director of the CIA and National Security Agency, ex-secretaries of homeland security and former top aides and advisers for the White House, State Department and Department of Justice, among others — is the latest in a series of public rebukes of Trump’s capacity to guide the nation’s defense and foreign policy by former government leaders. The letter goes on to assail Trump for what the authors say is his uncertain temperament, his lack of knowledge of U.S. laws and the Constitution and his complimentary attitude toward some of the country’s adversaries. -- The most important storyline of August is how many Republicans come out against their party’s nominee. If the base fractures, Donald Trump is doomed. So far, while a string of elites and vulnerable incumbents in blue states have defected, the grassroots has mostly – if reluctantly – coalesced. -- With the notable exception of Ted Cruz, commentators and pundits have covered GOP politicians who have spoken out against Trump as courageous and brave. While these are agonizing, career-defining decisions for lawmakers, they are also at heart based on cold political calculus. And that must not be lost in the conversation. 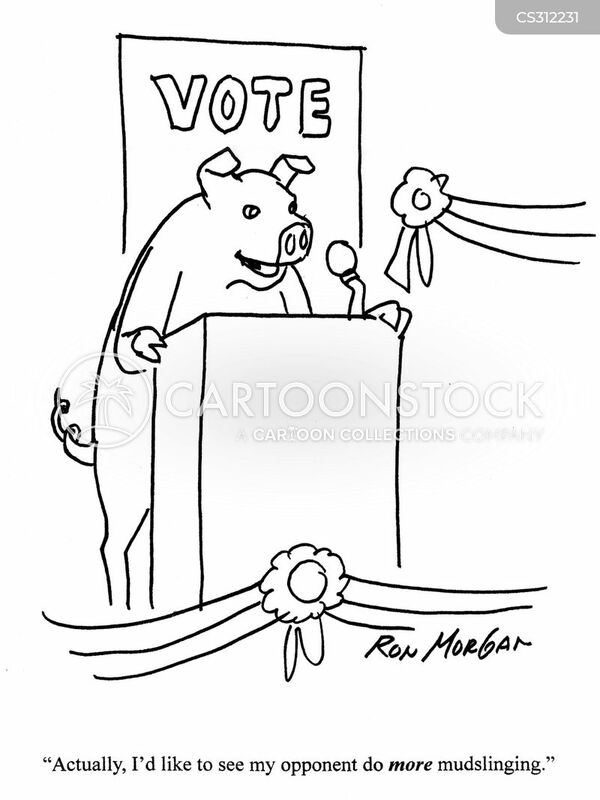 Most politicians respond more to political incentives than principles. That’s the single most important insight to understanding how Washington really works. The families of two Americans killed at the U.S. diplomatic compound in Benghazi are suing Hillary Clinton for their sons’ deaths and for allegedly defaming them in public statements. The lawsuit, filed Monday, claims that Clinton exercised “extreme carelessness” in dealing with “confidential and classified information” in her role as secretary of State. The lawsuit states Clinton likely sent and received information about the whereabouts and activities of U.S. Ambassador Christopher Stevens, though no connection has ever been proven. There is increasing concern in news and political circles that Donald Trump will not agree to the three slated presidential debates this fall, a historic break with political norms in the lead-up to the election. The three bouts -- organized by the non-partisan Commission on Presidential Debates -- are Sept. 26 at Hofstra University in New York, Oct. 9 at Washington University in St. Louis andOct. 19 in Las Vegas. They are usually wonky and tightly scripted affairs, and offer the next true reset point in the race for the White House. Multiple typically chatty Trump sources either passed the buck or did not respond to emails about whether the GOP presidential nominee is committed to participating. Hillary Clinton's campaign on Monday evening publicly accepted the invitation to the affairs -- a move aimed at eliciting a response from Trump. During any other presidential cycle, attendance at the debates would never be in doubt. 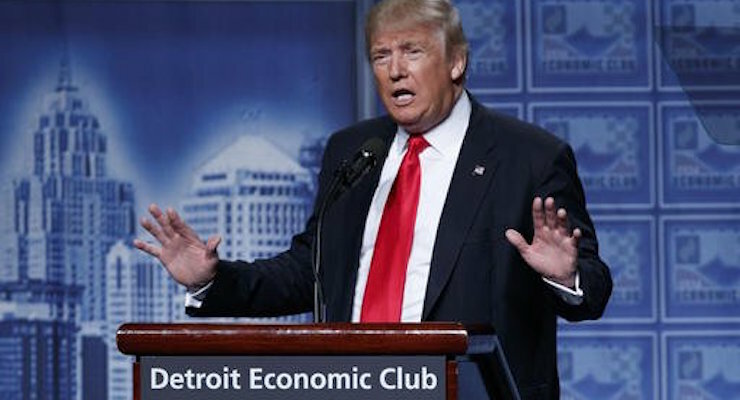 "Ridiculously false," "misleading juxtaposition," "absurd," "incorrect," "doesn't tell the full picture," "ridiculous talking point," "taken out of context"
In an effort to reset his troubled presidential campaign, Donald Trump gave a prepared speech to the Detroit Economic Club, an important venue for major economic addresses. Here’s a guide to 16 of the more fact-challenged assertions made by the GOP nominee. As is our practice, we do not award Pinocchios in speech roundups. The eldest Trump daughter, 34, has built her personal brand around this cause, penning a book called “Women Who Work” and leading the family-friendly policy charge on Donald Trump’s presidential campaign. But the company that designs her clothing line, including the $157 sheath she wore during her convention speech, does not offer workers a single day of paid maternity leave. As Trump delivered her prime-time speech, a fashion designer for the G-III Apparel Groupwatched from her home in New York City and rolled her eyes. The employee of nearly four years, a registered Republican who asked to remain anonymous for fear of losing her job, said she became pregnant last year and was dismayed to learn the company allows just 12 weeks of unpaid leave, the legal minimum for employers with more than 50 workers. So, she burned her vacation days, drained her savings and then relied on her husband’s income after giving birth to her son. The Democratic group American Bridge caught Florida Sen. Marco Rubio admitting that, because of his leadership roles in Florida's legislature, he had another legislator cast his votes for him most of the time. While totally allowed and a common practice, it might not be the best story to tell when you're under fire for missing votes in D.C. "I was never in my chair and he was, so he would vote for me, which is allowed under the rules," Rubio said at an event last week. "He voted for me. He casted 67 percent of my votes. He was pressing that button. The rise of property values is generally a good thing for homeowners, and Davidson home values areestimated by the county Property Assessor’s Officeto have grown on average between 33 percent and 37 percent from the last reappraisal in 2013. For the second consecutive Nashville election, the candidates who favored negative campaigns, or who were supported by negative messages from outside groups, lost. Mayor Megan Barry soundly defeated David Fox in the mayoral runoff election when Fox, who had run a surprisingly strong general election campaign that focused on what made him different from the other six candidates, embraced a series of negative and partisan messages in the nonpartisan race. Rep. Steve Cohen considers Elie Wiesel one of the greatest people to ever walk the Earth. The Romanian-born, Jewish-American writer survived both the Auschwitz and Buchenwald concentration camps during World War II, then made it his mission to never let the world forget the Holocaust. To remind Americans of Wiesel's sacrifices — and his contributions to the world — Cohen is leading a campaign to place a statue of Wiesel in the U.S. Capitol. "Elie Wiesel was one of the great moral forces in the world," said Cohen, a Memphis Democrat. "He was brilliant, pure, honest and courageous." Wiesel died July 2 in his home in Manhattan at age 87. During his long, distinguished career, the journalist, professor, author and political activist was showered with numerous accolades, including the Congressional Gold Medal and the Nobel Peace Prize. "He was one of my heroes," Cohen said. The most expensive 2014 House seat, going by total campaign expenditures, went to Rep. Charles Sargent, R-Franklin, who spent $270,141 to be re-elected. In a solidly Republican district, he had a primary opponent who was outspent substantially, but no November foe. On the Senate side, the most expensive seat two years ago was won by Sen. Jeff Yarbro, D-Nashville, at a cost of $455,028, with Sen. Richard Briggs, R-Knoxville, a close runner-up at $451,309. The cheap seat went to Sen. Sara Kyle, D-Memphis, at $46,362. She was running at the time in a seat vacated by her husband and is up again this year for a full four-year term. Briggs and Yarbro are not.The striking upward trend, instead, is in independent expenditures, both reported and unreported. This spending, which under relevant laws cannot be coordinated with a candidate, was something of a novelty in Tennessee politics just a decade or so ago. Now it's a big thing and, conceivably, on its way to becoming the biggest thing. In 2014, total independent expenditures in legislative races — those reported — were about $1.6 million. This year, as of July 25, just three groups with education legislation agendas had reported spending of more than $1 million. As a rough guess, based on very incomplete skimming of other reports, that may be about half the total that will ultimately be disclosed in spending leading up to last week's primaries. 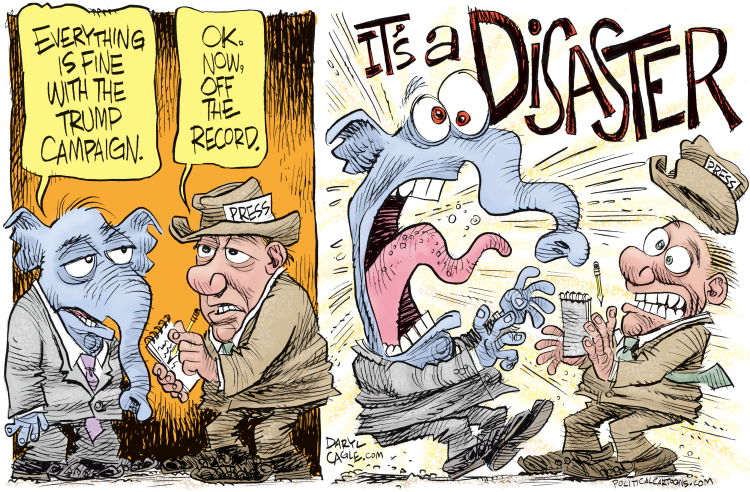 Unreported expenditures, well, that's anyone's guess. Under relevant law, if an ad directly asks the reader or listener to vote for or against a candidate, it must be disclosed. If it just educates everyone to the proclaimed fact that candidate A is scum or candidate B is a shining example of virtue, that doesn't get reported. Hillary Clinton has advanced among women and consolidated support within her party since her nominating convention, while a difficult few weeks have left Donald Trump still struggling on basic ratings from his temperament to his qualifications for office. She leads him by 8 points in a new ABC News/Washington Post poll. Trump's ratings in general haven't worsened –- they just haven't improved since he claimed the Republican nomination. 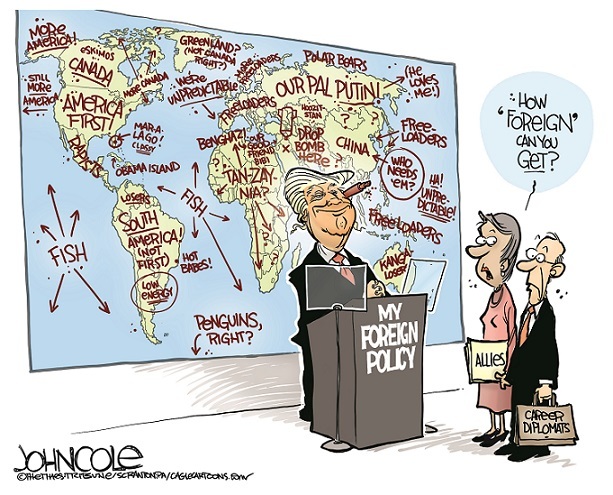 And the trouble list is long: Seventy-nine percent of Americans say he doesn’t show enough respect for people he disagrees with, 70 percent express anxiety about a Trump presidency, 67 percent think he lacks the personality and temperament it takes to serve effectively, 64 percent doubt his understanding of world affairs, 63 percent see him unfavorably overall, 62 percent say he's not honest and trustworthy, 61 percent think he's unqualified for office and 60 percent think he's biased against women and minorities. THE BIG IDEA: Perceptions of Donald Trump have basically hardened and appear increasingly baked into the cake. After one of the worst weeks of his campaign, the Republican nominee only trails Hillary Clinton by 8 points in the new Washington Post/ABC News poll of registered voters. Three in four registered voters disapproved of how the billionaire handled criticism from Khizr and Ghazala Khan. 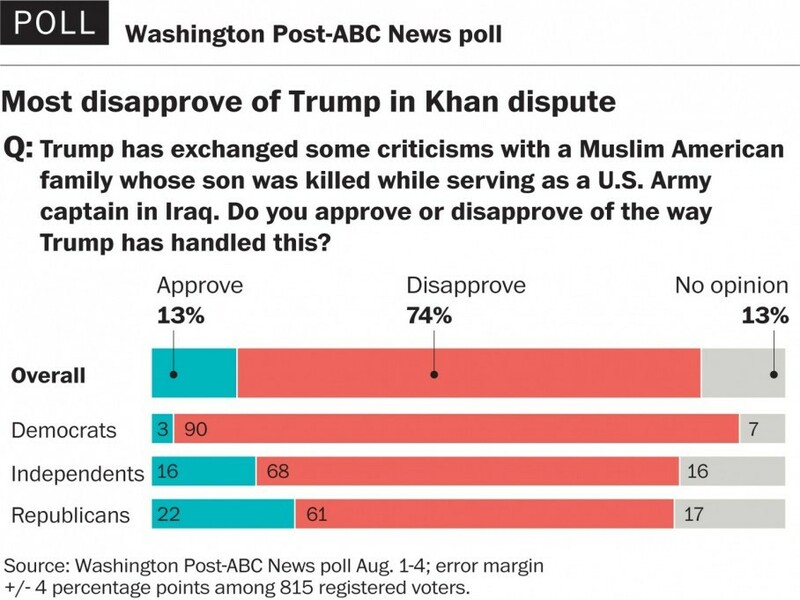 Just 13 percent approved of his back-and-forth with the Muslim American couple whose Army captain son was killed in Iraq. This is about as one-sided as any assessment can get for a major-party candidate's actions so close to a general election. Yet Trump still gets 42 percent to Clinton’s 50 percent in the horse race. -- They don’t generate buzzy headlines, but sometimes the most interesting numbers in a poll are the ones that do not change from one month to the next. Our poll found only a slight rise since July in the share of voters saying Trump is biased against women and minorities (56 percent now, 53 percent last month). There was also little change in the share of voters who said Trump does not show enough respect for people he disagrees with (77 percent now vs. 74 percent back in May). Trump’s image is basically unchanged from a month ago. He’s viewed favorably by 36 percent and unfavorably by 61 percent. Fifty-eight percent say Trump is not qualified to be president and 68 percent say the idea of Trump as president makes them anxious. Both numbers are identical to last month. A government watchdog is taking legal action in an effort to compel the Internal Revenue Service to investigate whether Donald Trump’s charitable foundation violated its tax-exempt status by engaging in political activity on behalf of the Republican nominee’s presidential campaign. Citizens for Responsibility and Ethics in Washington (CREW), a left-leaning government watchdog group, is filing a formal complaint to IRS Commissioner John Koskinen on Monday morning, citing the Donald J. Trump Foundation’s highly publicized contributions to veterans charities that were doled out earlier this year—which could be a violation of its nonprofit status. If the IRS audits the Trump Foundation and it is determined to have violated regulations governing nonprofits, the charitable organization could lose its tax-exempt status and the Republican nominee himself could be subject to excise taxes. Tax-exempt organizations like the Trump Foundation—of which Trump is the president—are strictly prohibited from engaging in political activity. “The Trump Foundation appears to have violated this prohibition by participating in Mr. Trump’s campaign and advocating for Mr. Trump’s nomination and election,” Noah Bookbinder, CREW’s executive director, writes in the complaint. The Daily Beast reported in June that the foundation has been operating essentially as a political slush fund, and that it has been coordinating with the campaign in a way that likely violates both IRS and Federal Election Commission regulations. Monday’s legal action was prompted in part by the presentation of checks to veterans charities that were paid by the foundation, which had Trump’s campaign logo and its signature slogan—“Make America Great Again”—imprinted on them. The Daily Beast previously reported that campaign staffers were in direct contact with the veterans charities on behalf of both the Trump Foundation and the Trump Organization ahead of formal presentations of the checks, suggesting improper coordination among the three entities. Two of them—the foundation and the charity—are subject to IRS and FEC rules, respectively. Representatives from two of the charities that received $100,000 checks from the Trump Foundation told The Daily Beast they were in direct communication with Trump campaign staffers, including its spokeswoman, Hope Hicks. In January, Trump pledged $6 million—which was never completely accounted for—to charities that work to help military veterans after the candidate skipped a Fox News primary debate over an ongoing feud with Megyn Kelly. The money raised at an event the same night as the debate went to the Trump Foundation instead of directly to the charitable organizations, and the checks were doled out in the succeeding months. “Those checks unquestionably communicated the Trump for President’s campaign slogan, and in the context of a campaign rally designed to advocate for Mr. Trump’s nomination and at which Mr. Trump spoke, the use of the slogan can have no reasonable meaning other than to urge his election,” CREW’s complaint says. The Daily Beast’s calls to the phone number listed on the foundation’s annual disclosures routinely led to staffers within the Trump Organization. Multiple attempts to speak with a foundation staffer were unsuccessful, suggesting that the foundation exists largely on paper. With Florida reporting the first non-travel related cases of the Zika virus, President Barack Obama, Congress, governors, state lawmakers and local officials began new rounds of condemnation for inaction to prevent the spread of the disease. Before leaving Washington for a two-month recess, Congress failed to pass an emergency supplemental appropriation to address the Zika virus. Republicans advanced a partisan measure through the House, but Senate Democrats stymied the bill because of poison pill riders forbidding funds to family planning clinics and waiving environmental protections. The Office of Management and Budget reprogrammed $589 million in unspent funds to the Zika fight last April. Of that amount, $374 million went to domestic agencies that obligated most of the funds. Funds yet to be spent will go to emergency response teams, Zika testing and grants to kill mosquitoes. $215 million is being used for international response efforts. September, the fight will become part of the debate over a Continuing Resolution to prevent a government shutdown October 1. The House Freedom Caucus, which is enraged over the primary defeat last Tuesday of its member Tim Huelskamp at the hands of Speaker Paul Ryan's allies, is threatening to force another shutdown. The post-convention period is when many congressional incumbents poll their states and districts to determine their political vulnerability. With President Obama, Democrats and Hillary Clinton posting impressive poll numbers since the conventions, the level of partisan gridlock could reach new heights in September. Although economic growth in the second quarter registered a paltry 1.2 percent rate, the July jobs report showed growth of 255,000 new hires, with wages climbing more than forecasted and workers picking up more hours. Jane Eskind, a political pioneer who became the first woman ever to win a statewide election in Tennessee, died Thursday. She was 83. Eskind was elected to the Public Service Commission in 1980, coasting to victory in the general election after a hard-fought race in the Democratic primary. The commission is now known as the Tennessee Regulatory Authority and is no longer an elected board. Eskind also would serve as its first chairwoman during her tenure. She told The Tennessean at the time her election “dispels a myth that women cannot win statewide elections in Tennessee.” She went on to run for other state offices and became the first woman to chair the state Democratic Party, eventually counting presidents among her allies. Former President Bill Clinton called Eskind “the picture of perseverance and bravery.” He said in a statement Thursday that because of her “determination and commitment to win, she was an example to all women that they, too, could break into the so-called man’s world." Former Vice President Al Gore, who sought Eskind’s advice and guidance through the years, called her “a selfless public servant and dynamic leader with a tremendous spirit who made history in Tennessee politics." A Louisville, Ky., native who later moved to Nashville, Eskind earned the role as trailblazer in 1978 when she became the first woman in Tennessee to win a primary for statewide election. 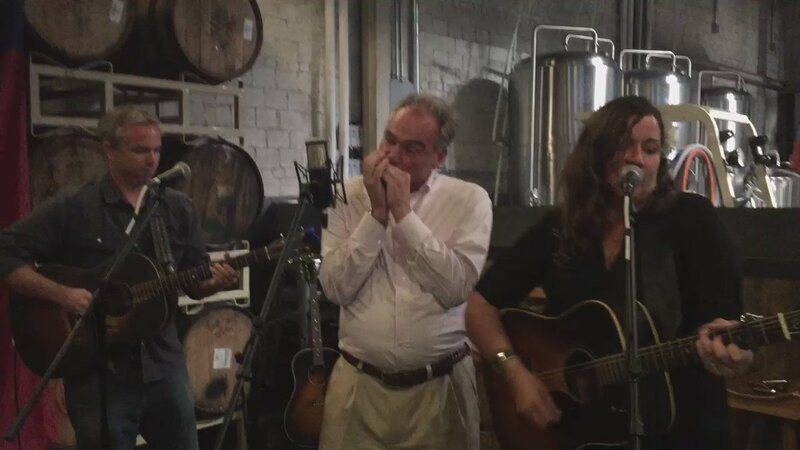 She bested a former state Senate majority leader to win the Democratic nomination for U.S. Senate. Although she would lose in her bid to oust popular incumbent U.S. Sen. Howard Baker, a Republican, she garnered national attention for her efforts — then-President Jimmy Carter swung through the state to speak on her behalf. She also ran in the Democratic primary for governor in 1986. In 1987, Eskind also ran as a Democrat for Tennessee’s 5th Congressional District, which includes Nashville. The congressional election, which also included former Gov. Phil Bredesen as candidate, was won by Bob Clement. Beyond running for or serving in public office, Eskind remained active in Democratic Party politics. A political newcomer ousted a former rising star in the Tennessee Republican Party on Thursday night. Attorney David Kustoff defeated 12 opponents to capture the Republican primary for Tennessee's 8th Congressional district Thursday night, all but guaranteeing that he will go to Washington to succeed Stephen Fincher in the U.S. House of Representatives. And in the 9th Congressional District, which includes much of Memphis and its immediate surroundings, Democratic incumbent Steve Cohen took about 86 percent of the primary vote, easily beating challengers Larry Crim, Justin Ford and M. LaTroy Williams. Cohen is likely to win the November general election in the Democratic district versus Republican Wayne Alberson and independent Paul Cook. Big loss for "dark money"
More than $750,000 buys plenty of campaign mailers and advertisements. But it doesn't necessarily buy election wins. A Nashville advocacy group is calling for an investigation into spending in Metro's school board races, alleging Stand for Children, a pro-charter organization based in Oregon, has broken Tennessee election law. Records show that Stand PAC has spent more than $200,000 on the Metro school board races. But Tennessee Citizen Action says the issue isn't just how much Stand PAC has put into the races; it's how that money has been used. "They're spending an incredible, unprecedented amount of money in the race, and they're doing it through coordination. Which is illegal," said the group's attorney, Gerard Stranch. Congressman Scott DesJarlais held off Murfreesboro attorney Grant Starrett in the Republican primary for the 4th Congressional District. Starrett spent about $1 million in his attempt to dislodge DesJarlais, who's faced tough races since coming to Congress in the tea party wave six years ago. Previous challengers include state Sen. Jim Tracy and former state Sen. Eric Stewart. This time around, DesJarlais's opponent was a young attorney who had never held elected office before. He attacked Starrett for being relatively new to the district, having moved to Rutherford County just last year. DesJarlais called him "Mr. California." Republican Donald Trump showed signs that he is trying to get his campaign back on track amid a series of recent missteps, as a new Wall Street Journal/NBC News poll found Democrat Hillary Clintonopening a 9-point lead nationally over the New York businessman. 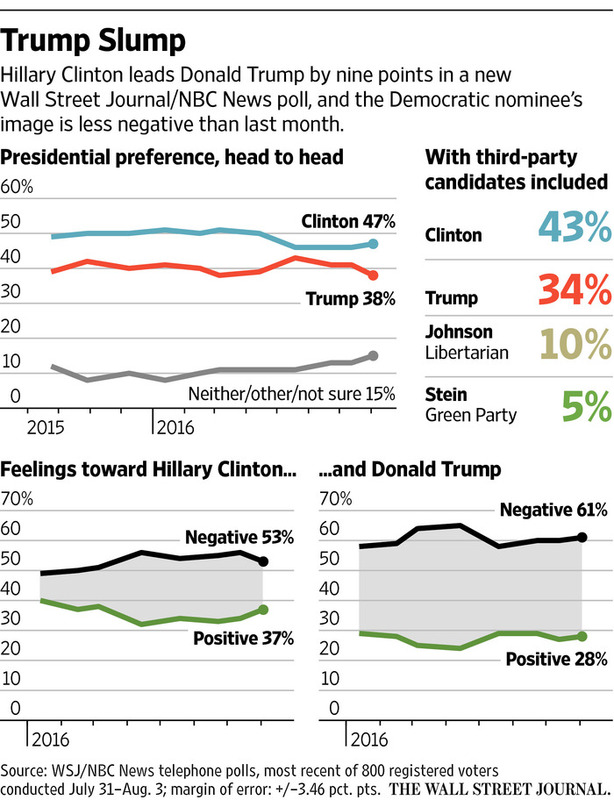 Mrs. Clinton’s lead, at 47% to 38%, grew from 5 percentage pointsbefore the conventions in July. The finding comes as Mr. Trump and anxious Republicans are trying to shift focus away from GOP infighting and personality politics. At a rally in Portland, Maine, on Thursday, a more restrained Mr. Trump read parts of his speech from notes and kept his attention trained on Mrs. Clinton. The Journal/NBC News poll of 800 registered voters was taken after both parties’ national conventions and after Mr. Trump becamemired in controversy for criticizing Khizr Khan, the father of a Muslim-American soldier killed in the Iraq war. He stirred additional tensions within his party this week by refusing to endorse the re-election of House Speaker Paul Ryan in next week’s primary, capping one of the rockiest stretches of Mr. Trump’s campaign. Donald Trump continued to say on Thursday that he has seen video footage taken by the Iranian government that shows the United States delivering $400 million in cash in January, even though his spokeswoman confirmed Wednesday night that the Republican nominee had instead seen footage of three released American prisoners arriving in Switzerland. Several senior U.S. officials involved in the Iran negotiations told the Associated Press they weren't aware of any such video, and there was speculation that perhaps Trump saw it during one of the classified security briefings provided to presidential nominees, although those briefings have not yet begun. Secretary of State John F. Kerry, who was traveling in Argentina on Thursday, told reporters that he was unaware of any such video, according to the Associated Press. But wait - pigs do fly! Donald Trump has finally admitted he got something wrong. After publicly declaring multiple times this week that he had seen “top-secret” footage of a plane unloading money the same day the Iranian government released four American detainees, the Republican presidential nominee finally admitted that video does not exist. “The plane I saw on television was the hostage plane in Geneva, Switzerland, not the plane carrying $400 million in cash going to Iran!” he tweeted early Friday. Trump initially told a crowd Wednesday that he’d seen the nonexistent video—footage he claimed was filmed by the Iranian government to “embarrass” the United States. Despite the fact there are no statewide elections on the ballot this year, Thursday's primary election will provide voters an opportunity to weigh in on contentious races for Metro school board seats, Metro council, the state legislature and Congress. That means voters throughout the state will decide who will appear on the ballot in the November general election for state House of Representatives and Senate. 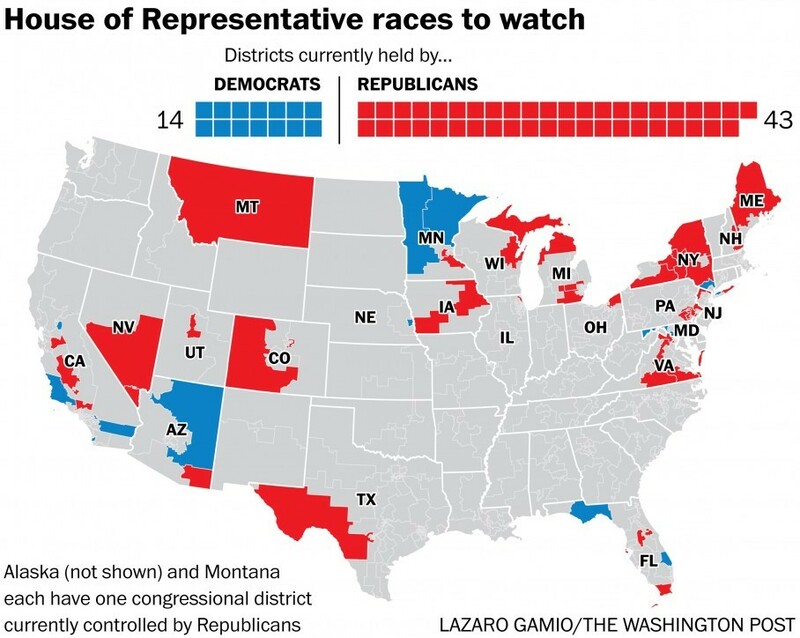 All 99 House seats are up re-election, while 16 of the Senate's 33 seats are up for a vote. 1) Polls are open from 7 a.m. to 7 p.m.
2) Bring a valid state or federal government issued photo ID. 3) Be prepared to say which ballot — Democrat or Republican for the state primary, or just a General ballot if you don't want to vote in a state-level race — you want when you enter the polling place. Donald Trump is down nine points in Michigan, 15 points in New Hampshire and 11 points in Pennsylvania, according to three new polls out this morning. Hillary Clinton is beating Trump 41 percent to 32 percent in a Detroit News poll of Michigan, a state the GOP nominee's team says is crucial to winning the White House. Sixty percent of voters in Michigan say Trump is not qualified to be president. In New Hampshire, WBUR found Clinton is up 47 percent to 32 percent. Trump and Clinton were running neck and neck there two months ago. And in a Franklin and Marshall poll in Pennsylvania, Clinton is up 49 percent to 38 percent among likely voters. Republicans are freaking out about Donald Trump -- but the candidate himself is insisting his campaign has never been in better shape. "The campaign is doing really well. It's never been so well united. It's the best in terms of being united since we began. We are doing incredibly well," Trump said in Daytona Beach, Florida, today. Republican leaders and even senior members of his own team expressed frustration with Tuesday's political meltdown -- which featured an intra-party attack on Paul Ryan and John McCain, more Khan family insults and calling out a crying baby from a campaign event. Republican National Committee Chairman Reince Priebus was especially furious with Trump's refusal to endorse Ryan in his GOP primary. And Trump's running mate, Mike Pence, broke with Trump to endorse Ryan on Fox News. A source told CNN that some of Trump's campaign staff "feel like they are wasting their time." The latest GOP defection: Rep. Adam Kinzinger, R-Illinois, who told CNN's Wolf Blitzer this evening he can't support Trump. "No matter what the political cost to me, I'm an American before a Republican," he said. "I won't be silent. He can tweet all he wants." Quite a conference call: Trump's senior staff -- Jason Miller placed the call in a room with Paul Manafort, Rick Gates, Hope Hicks and Stephen Miller -- rang CNN's Dana Bash today to make clear they're not frustrated with their candidate. "Frankly the frustration we have is with you all, because you’re not covering our side of the campaign. That’s our frustration," Manafort said. More from CNN's Stephen Collinson and Dana. What Hillary Clinton is doing with Trump in turmoil: Sitting back and watching, per CNN's MJ Lee. The three-minute video to watch today: This New York Times take on Trump rallygoers -- uncensored. No, wait - Russia's in Ukraine? Trump and his campaign cannot be off message because Trump and his campaign do not have a message. Trump and his campaign cannot be in disarray because Trump and his campaign invite and weaponize disarray. In short, nothing matters. Trump’s campaign has forever been populated by amateurs and lunatics who have somehow managed to guide him to success thus far. And that success is not in spite of his inability to stay “on message” but because of it. And the infighting in his party? He thrives on that sort of drama, and so do his supporters, who signed up for a wrestling match, not a debate between statesmen. This is not an argument that Trump will win, but that to try to interpret the mechanics of his campaign or his “message” using normal logic is a fool’s errand. Is Outsourcing Really Saving Taxpayer Money? An exclusive NewsChannel 5 investigation has uncovered new questions about a major Haslam administration plan that was supposed to save taxpayers' money. But our investigation discovered that effort -- to turn the state's vehicle operations over to private companies -- is costing millions of dollars more than lawmakers were told. "When we look at something like this and it turns out that the proposed budget and the actual is not even close, that's very concerning," said state Rep. Mark Pody, R-Lebanon. It was part of Tennessee Gov. Bill Haslam's promise to run state government more like a business. While state employees once handled most maintenance of state vehicles, the Haslam administration outsourced the work to a private company. A fleet of state vehicles were once kept on standby for state workers, but that job was outsourced to Enterprise's WeCar program. The administration also sold off hundreds of state-owned trucks and cars, choosing instead to lease them -- all supposedly to save money. But a careful analysis of state budget documents suggests the state's motor vehicle management operations have consistently blown through the budget numbers given to state lawmakers, now costing taxpayers more than ever. "If you ran a business like this, you'd be bankrupt pretty quick," said former state Rep. Randy Stamps, who now heads the Tennessee State Employees Association. Despite the fact that motor vehicle costs have gone up year after year, the Haslam administration continues to insist that outsourcing is saving money. All men have a role to play in preventing violence against women, and it starts with things as simple as changing your language, a new video released Monday by victims advocates says. “Every single man has the opportunity to rethink the way he operates in our culture,” said Patricia "Pat" Glaser Shea, chief executive officer of the YWCA of Nashville and Middle Tennessee, which released the video.